Ross Millar comes from horse country. Born in Manitoba, he was raised in Calgary, Alberta, from the age of two. Despite the presence of horses in his immediate environment, he grew up with a passionate interest in sports instead, especially hockey. His family encouraged him to pursue music as well and to cultivate his skills as a singer and percussion-instrument player. Both fields – sports and music – helped foster the cutting-edge creativity that has served him well as a businessman, industry leader, and community advocate. Ross invested considerable energy from an early age in managing the first-ever SportChek in Canada. Pursuing his ambition to be a crackerjack sporting-goods salesman, he resettled in Unionville, Ontario, where he became a partner in Old Firehall Sports. He worked hard at this new venture from 1981 to 1989, with his efforts proving instrumental in facilitating the town’s growth, in part by helping establish Canada’s first BIA there. These years in Unionville, so crucial to Ross’ maturing as a marketing expert, necessarily proved trying; but the experience nurtured his development as a seasoned professional. One day he came to the realization that the fulfillment of his goals should not be at the expense of his personal dignity or positive relationship with the community. Fearing becoming a workaholic, his epiphany led him to his next move in the business world. Deciding to restructure his priorities, Ross started distributing ski equipment with a new partner. This change in direction helped round out his expertise as a businessman. He realized that success came as much from respect for the bottom line as from a willingness to introduce creative new methods into tired old business models. Ross’ next venture brought him face-to-face – at last – with the equine industry. He opened a cowboy boots shop. This, in turn, introduced him to horses and rodeos. Drawing on his marketing and creative experiences over the years, he realized that the rodeos at that time were shoddy and dangerous, and he endeavoured at once to assert a new standard of excellence in his projects. 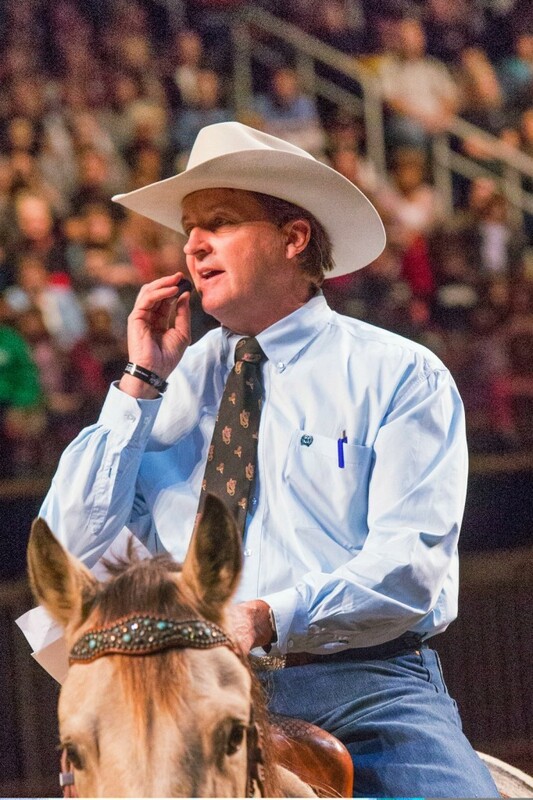 Ross Millar’s ambitious quest to invest his current enterprises, including the Can-Am Equine Expo, the RAM Rodeos, and the HorsePower Live! © show, with a redoubtable energy and drive and with a set of visionary skills that have grown at pace over the years with his commitment to the community at large, today make him an outstanding and inspiring member of the horse industry. Gary has worked with the Ross Millar Group for 10 years. He offers the company a diverse background in marketing and consulting. When Ross first conceived of HorsePower Live!, it was a natural move to ask Gary to participate as a guiding force on the show’s professional philosophy and direction. For Ross, it was a fundamental business decision that has already had considerable impact on the show; for Gary it became an opening to give prudent instruction on the creative development of an exciting new project. An inspired speaker with 25 years’ experience with McDonald’s, Gary currently runs Reinblatt Group Consultants, a firm that deals with clients in manufacturing, media, sales promotion, and advertising agencies. He likes to say that his formative years as a McDonald’s executive provided him with “a different set of eyes” – which gives him a unique perspective on how best to foster the growth of HorsePower Live! © and take its innovative vision of horse-based entertainment into the future. If statistics about one’s past work can predict future success, consider the following: Gary was responsible for a marketing budget of over $50 million and had a staff of over 25 people; he was involved in the growth of the McDonald’s company from 10 restaurants to over 700; and he was the genius behind over 1,000 television commercials and over 500 different promotions. In addition, Gary has sat on the boards of Think First Canada, the MukiBaum Treatment Centres, the United Way, the Bureau of Broadcast Measurement, the Association of Canadian Advertisers, Metro Toronto Convention and Visitor’s Association, Ontario Lottery Corp., North York General Hospital, Ronald McDonald Children’s Charities, the Spinal Cord Research Association, and the Canadian Tire Foundation for Families. Despite a terrible skiing accident in March, 1990, that rendered him a quadriplegic, Gary has continued to make a difference in every sphere of activity he gets involved in. He has made over 400 speeches to clubs, associations, companies and universities from coast to coast, and has served as a judge of the Marketing Awards, Television Awards, and Radio Awards. Driven and tenacious, Gary offers a competitive edge to the process of mounting HorsePower Live! © as a viable and dynamic entry into the field of entertainment – and the show’s future looks bright as a reflection of his judicious contributions. 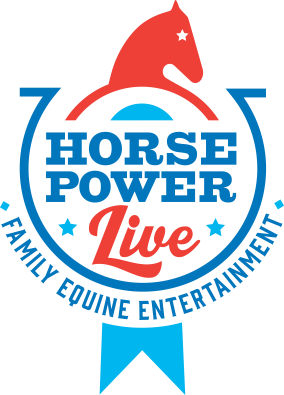 One of the biggest contributors to the magic of HorsePower Live! is our composer, Cam Millar. Cam’s composes a lot of ‘horse-powered music’ for various equestrian events, including the opening ceremony of the Royal Rodeo at the Royal Winter Fair, the Caledon Equestrian Park theme music, as well as composing the intro, trick riding, and other music for the Ram Rodeo Tour in Ontario. While living in New York, Cam was involved with the original ‘Dancing with Horses’ project, composing music for their first two large-scale shows, which for him proved a great way of putting his wide range of musical interests and music training to the test in relation to the equestrian world. 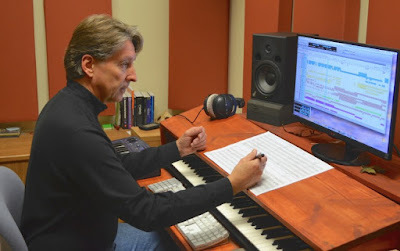 In addition, he has written scores for over 25 independent films as well as composing music for U.S. National Park Service documentary films. After studying trombone and music at the University of British Columbia, and then gaining valuable performing experience in virtually every possible style of music, Cam’s path and music career has found him composing music for figure skaters, dancers, jazz big bands, shows, theatre, jingles, classical chamber ensembles, and much more. Cam received his M.Mus. in Studio Composition from SUNY Purchase College in New York.